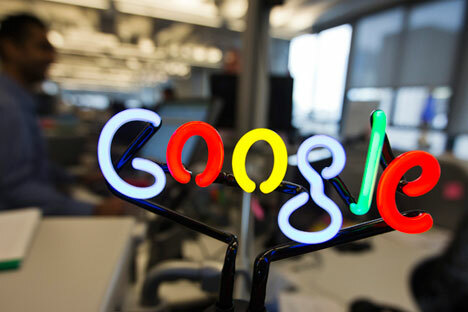 FAS determined the fine in the amount of $6.7 mln penalty for U.S. Google Corporation. The Moscow Arbitration Court has registered yet another legal claim from Google's against the Russian Federal Antimonopoly Service (FAS), according to the court’s catalogue of arbitration cases. The company’s claim on recognizing the company's decisions and actions or inactions illegal was registered on Sept. 2, 2016. The contents of the claim and the amount of demands are not yet disclosed. On Sept. 2, FAS received a request from Google for extension of deadline for fulfilling the service’s orders. "The Service will consider the appeal of the company in due course," FAS press service quoted Head of FAS Department for Regulation of Communications and Information Technologies Elena Zaeva said. FAS said earlier that one more fine might be imposed on Google if the corporation fails to meet the directive of the Russian Federal Antimonopoly Service (FAS) to cure violations of antimonopoly laws. "Google has eight days to perform FAS directive from the time of court judgment preparation in full scope. Otherwise they will face a new penalty," press service of the regulator said. It was reported earlier that the Ninth Arbitration Court of Appeal has already rejected Google's appeal against the case of the Russian Federal Antimonopoly Service (FAS). At the same time, FAS will enforce Google ruling. "We expect to see the situation favorable for the development of competition in the market, it is the most important thing," she added, saying that Google has not yet paid the fine. On August 16, FAS said they failed to reach an agreement with Google on amicable agreement. It was reported earlier, that FAS determined the fine in the amount of 438 mln rubles ($6.7 mln) penalty for U.S. Google Corporation.